A long time ago, a smart North Carolina native mentioned to me that the official NC state motto was the Latin phrase “esse quam videri,” which translates as “to be rather than to seem to be.” Yeah, I didn’t know states had mottoes either. Turns out a lot of them do. Cicero sez take my advice and be rather than seem. It's Latin, which makes it right, people. I was struck by this phrase. As Red Hat has grown from North Carolina roots into an international company with offices around the world, we’ve adopted this one little piece of North Carolina-ness as an unofficial litmus test for the Red Hat brand voice as well. Esse quam videri first appeared in the Cicero essay On Friendship, but a similar concept can actually be traced back to the Greek playwright Aeschylus. His line, which later appeared in Plato’s The Republic, was “His resolve is not to seem the best but in fact to be the best.” You can find more on the history of the phrase here. Esse quam videri inspires authenticity. When Red Hat is communicating at our best, we use esse quam videri as the muse of simple, honest talk; conversation that doesn’t hide behind the foreign languages of marketing, law, or business. Sometimes it inspires us to not communicate at all, to simply do instead. When we are not communicating well, we are not listening to our muse. You’ve probably noticed (or more appropriately, not noticed) that Red Hat doesn’t spend much money on traditional brand advertising. You’ve never seen a Red Hat television ad, and you don’t see big ads in magazines and newspapers too often either. In some way, this is probably a manifestation of the esse quam videri spirit (and tight budgets:). Mass market advertising is the lion’s den of telling. This kind of advertising has never seemed particularly authentic to the Red Hat brand to me. In a company like Red Hat, most brand advertising takes place one conversation at a time. As the company has grown, so has the number of people communicating our brand story to the world. Every employee is a brand ambassador, and we have over 3000 now. The risk? The more people communicating, the greater the chance of the brand slipping into the land of seeming and out of the land of being. So what’s a caring brand manager to do? After all, much of the world still lives by Machiavelli’s twist of the phrase (from The Prince): Videri Quam Esse (To seem rather than to be). Lead by example. Show rather than tell. Don’t say your brand is awesome, instead invest your energy in being awesome. Rather than talking about what you do, do. When you see others who work for your company telling rather than doing, point it out. Don’t forget to call yourself out too. Just so you know, I’m no angel myself. I often catch myself seeming rather than being. It is a hard principle to live by, and it is easy to stray. But esse quam videri lets me know when I am leaving the reservation. It sends me strong signals. It keeps me honest. So take it for a spin and see if it can help you too. 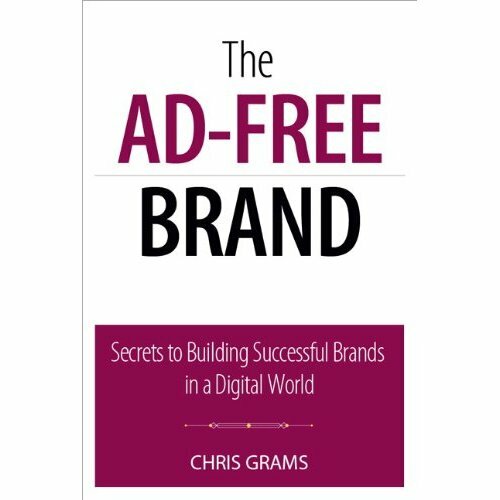 If so, you can find more tips about how to position your brand effectively in my book, The Ad-Free Brand (not an advertisement, mind you, just a friendly suggestion:).